Handleless kitchens are becoming increasingly fashionable these days. 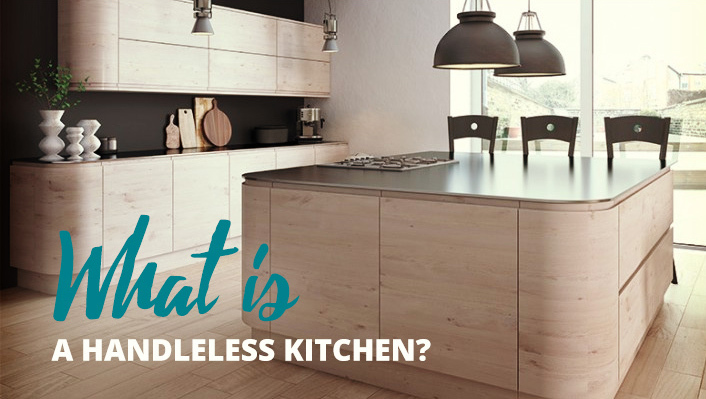 But what exactly are they, and can you benefit from changing your kitchen to a handleless design? 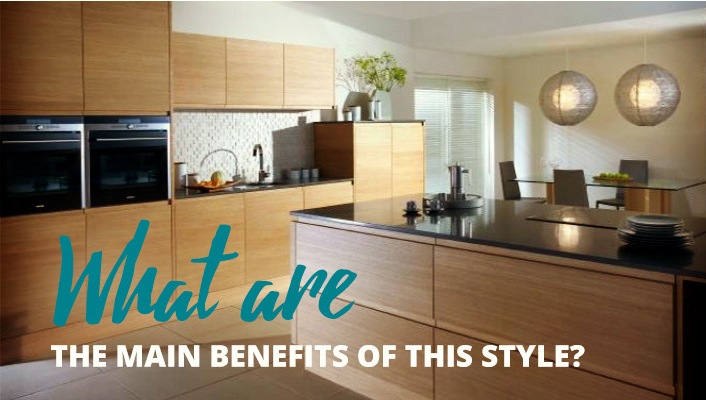 This article covers all you need to know about this stylish kitchen design trend. 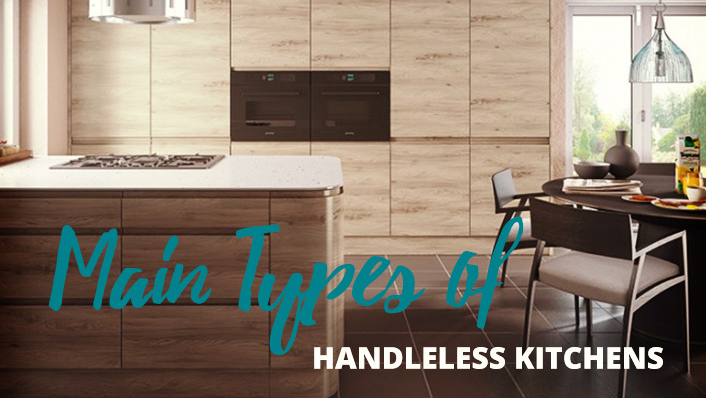 All handleless kitchens refrain from using traditional handles. However, there are actually a number of different types of designs that you can choose from. Despite not having any handles, the drawers and doors need a way to open, and different kitchen styles use different techniques. The J-Profile or J-Groove style, also called integrated handles, is the simplest option. This is where a groove is cut into the top or bottom of the drawer or door, which looks like a 'J' from the side. This allows you to grip it with your fingers and pull it open without the need for a handle. This is often the cheapest option, and it provides a simple way to avoid using handles. Another option is the grip ledge style, also called the continuous rail style. This uses an aluminium rail that runs behind the top, bottom or side of the drawer or door. The drawers and doors are not full height, leaving a space between them. This space can either contain a layer of colour, or it can be the same colour as the doors. This tends to be a more expensive option than the J-Profile doors, however enables some extra design flair to be included in the design of the kitchen. The key benefit of a handleless kitchen is that it creates a sleek and streamlined appearance, which can be ideal if you want to create a minimalist look in your home. In addition, with no handles there is no chance of catching your clothes or skin on one, and this can be particularly useful for safety reasons if you have children. It could be argued that a handleless kitchen creates a smoother transition between rooms in the home, improving flow. 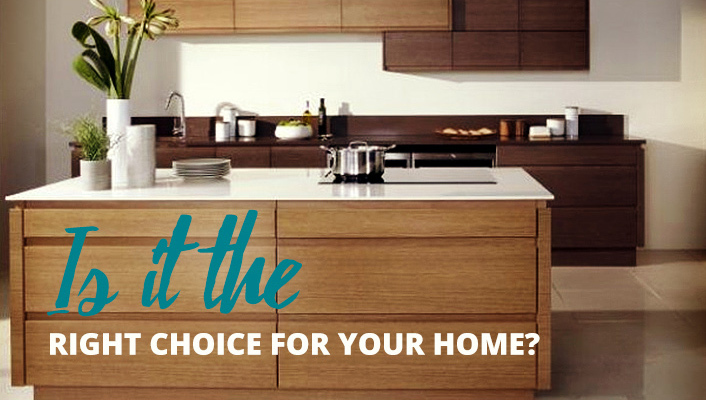 It can be especially useful for open plan kitchens where you can enjoy a more seamless divide. 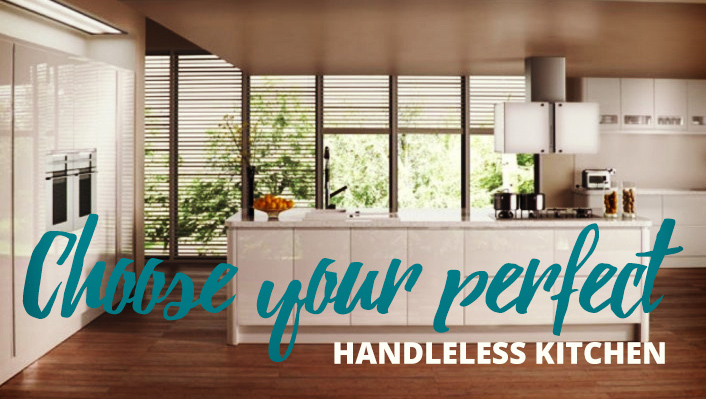 If you prefer a minimalistic style in your home, then a handleless kitchen could well be a good option. However, remember that these can sometimes cost more, so make sure you have the budget for one. The other thing to consider is that you will want to get high-quality drawers and doors from a trusted supplier because sometimes the lower-quality options can be less durable, especially if you opt for cheaper J-Profile drawers from a budget manufacturer. Handleless kitchens are a stylish option for anyone wanting to give their kitchen a sleek new look. 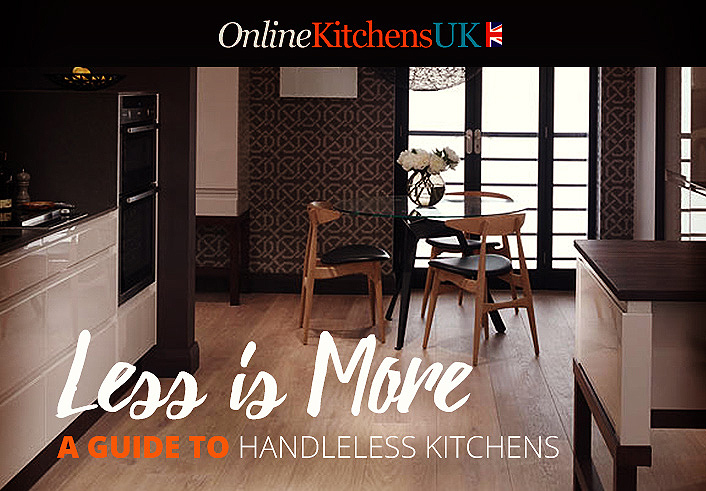 They are not for everyone, but if you like the minimalistic style and you want to banish handles from your kitchen, take a lookn at some handleless kitchen designs and see if you can find a style you would like for your home.